• the band of the ring can either be hammered or polished, if you have a preference please let us know in the notes area just before checkout. Every piece is completely handmade to order and our production times vary by the season. Please see our page header for the most up to date production time for standard shipping orders. If you need your item(s) more quickly we do offer expedited shipping/processing options which you can choose from the shipping dropdown at checkout. I seriously don’t know of any other jewelry company that makes such special, customized pieces and engraves so flawlessly!! IN LOVE. Thank you! 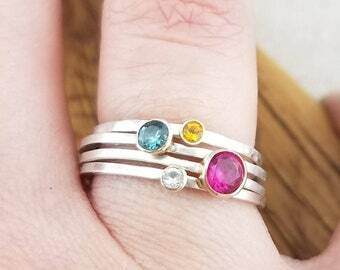 Love the birthstone rings for my daughters. Thank you. Just as pictured. Item arrived quickly. Will order from seller again. I bought this as a memorial for my parents who recently passed. Had their initials and a quote meaningful to them/our family inscribed. Lovely and whimsical design. 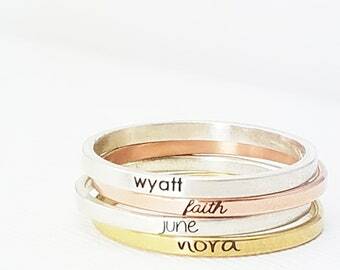 Most of our items can be personalized! 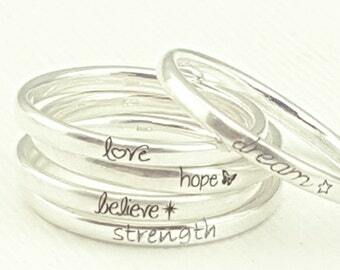 We can add just about handwriting/drawings/special text that you can take a clear close up photo of. Looking for something very custom? Let us know! 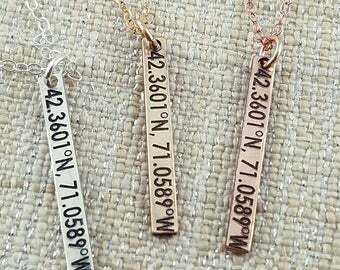 We can make pretty much any shape charm and engrave just about anything on a variety of metals (though sterling silver is our favorite!)! Fonts: All items that include font engraving have a font list as one of the images, be sure to check it out. 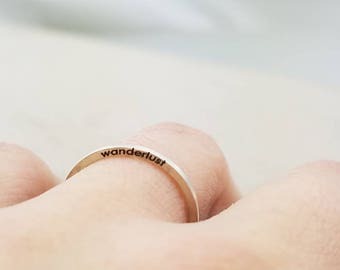 Please leave any information for customization on any of our rings/necklaces with a font in the Notes Area after you have added the item you would like to your cart (you can add your ring size and what you would like engraved here as well!). 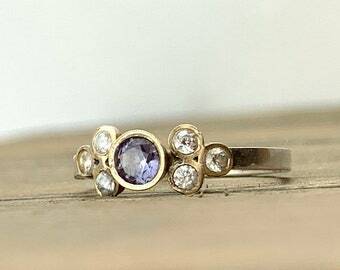 Our rings all come in standard US sizes. If you aren't sure on sizing send us a message and we are happy to help you figure it out! We also offer FREE resizing, so if you do order and get it wrong we'll resize it! 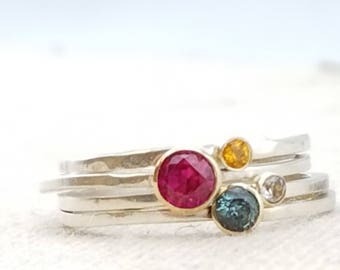 If you are unsure on your size, check out our ring size guide! 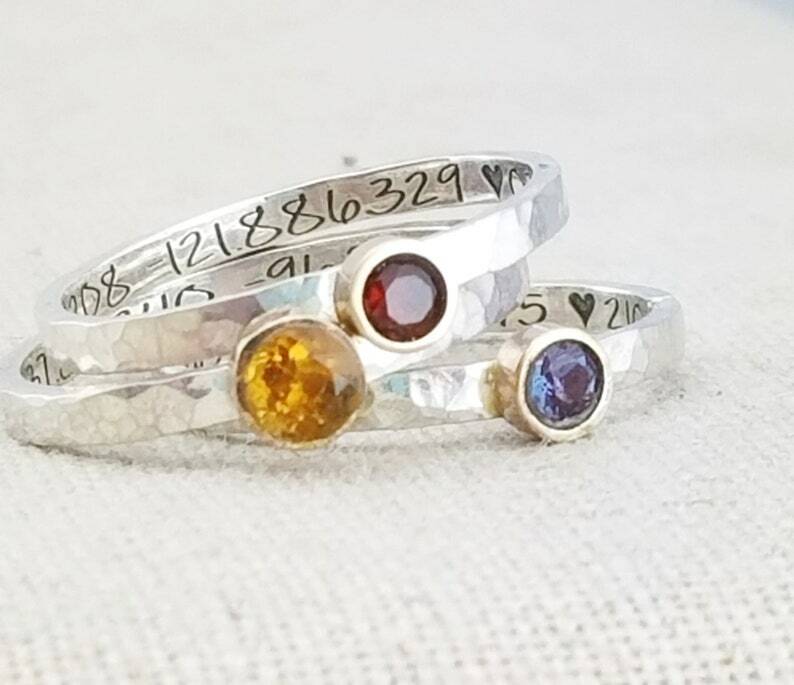 Our items are all solid sterling silver (unless otherwise stated) that has NOT been coated with the harmful chemicals that many companies use to prevent tarnish. We send out a polishing pad and care card with every order though, so you know how to care for it! We do not recommend using cleaning solution on pieces that have blackened engraving as it may remove the engraving. 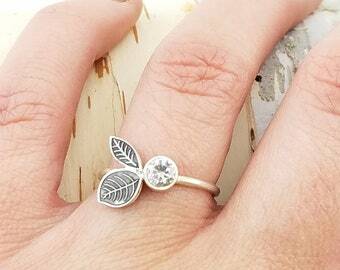 When not wearing your sterling pieces store them in a jewelry box unexposed to the environment. Each order comes packed in a pretty little bag! We include care cards and information on how to get in contact with us as well as a polishing cloth for your new jewelry! 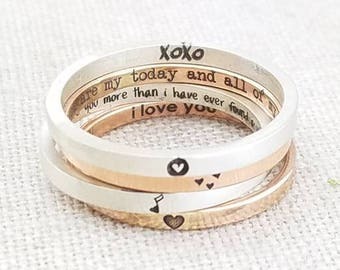 How do I order a piece with handwriting or a drawing? Add the item(s) you would like to your cart. Purchase the item(s) (make sure it states it includes handwriting!) and then send us a convo through Etsy with the image of the writing/drawing you would like attached. 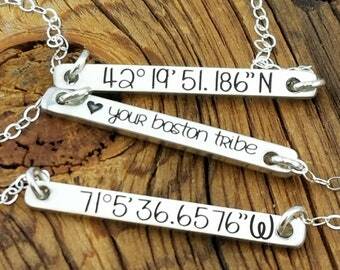 Your convo through Etsy will be automatically linked to your order. Will my item arrive by Christmas? We are no longer accepting orders for Christmas 2018! Thank you so much for a wonderful year! Order by the dates below and we'll make sure it's in the mail by the USPS shipping deadline for Christmas delivery (within the US)!